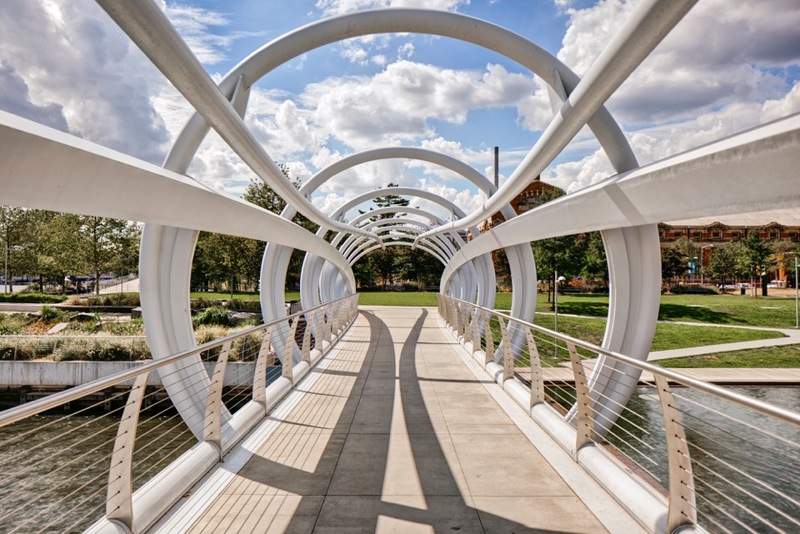 The Capitol Riverfront offers tons of community events and beautiful views for residents. Get your zumba on or practice your yoga poses at one of the regularly scheduled fitness events on the waterfront. Go kayaking or watch an outdoor movie with friends. Attend a baseball game at Nationals Park, a field adjacent to the waterfront. The leisure activity options are endless at Capitol Riverfront. Foodies will love the Navy Yard for its eclectic and varied restaurant offerings. Head to Nando’s Peri-Peri for South African style chicken. Grab a burger at the famous Bluejacket. The menu even includes a falafel burger. Yum. Head to Bardo Beer for a brew. Bring your pup along to this hybrid brewery/dog park. The Navy Yard is home to several wonderful parks. Find some peace and calm at Yards Park, where you can relax on the riverfront or cool off on a hot day in the wading pool. Pups can play in the fenced-in Dog Run area. Attend a Friday night concert in the summertime with friends and family. Spend winters ice skating at Canal Park. Here, you can also visit seasonal markets and enjoy dancing fountains in spring and summer. Ready to call the Navy Yard home? Contact us today for more information on life at Insignia on M or to schedule a tour.